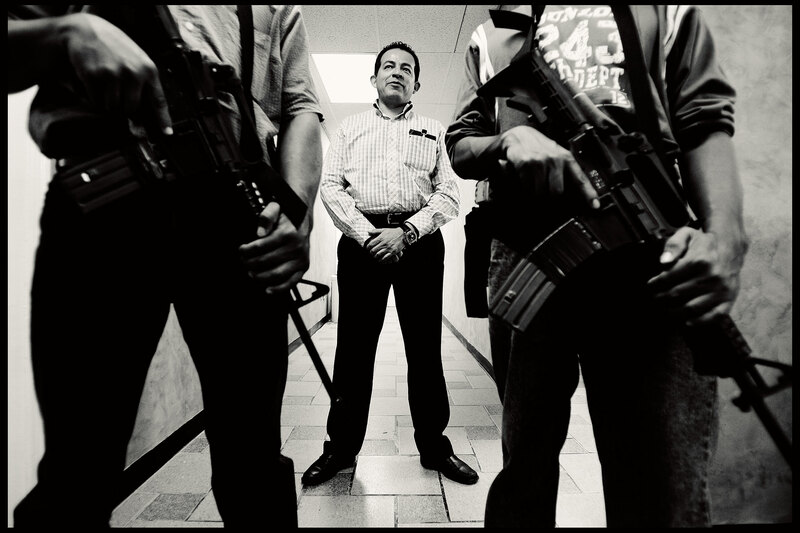 Police Chief of Nuevo Laredo Omar Pimentel, with bodyguards. (he was murdered a year later). Neuvo Laredo, Mexico. Client: Daily Telegraph.